Delight your friends at a holiday gathering or masquerade party with this comical Beer Bottle Costume. 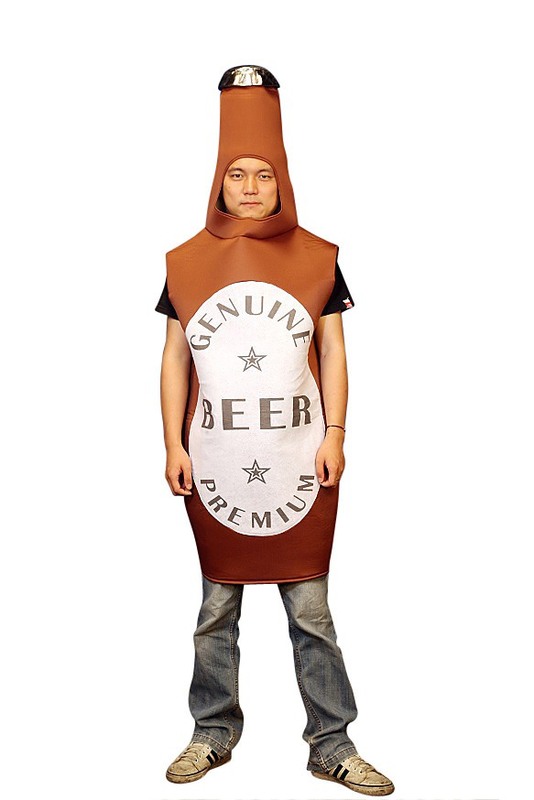 This is a well-qualified costume,using thick foam.You'll be the one everyone wants at their party in this adult beer bottle costume! the poly-foam costume consists of a silver cap with a white label. "Genuine beer" and "premium" is printed on the label . The bottle suit has slits for the head and arms as well as is open on the bottom for easy movement. (Please note for the best appearance, the bottle top can be stuffed.) Get five of your friends together to create a six pack! You"ll be sure to leave a memorable impression when you saunter into the party dressed as one of the nation"s favorite beverages! 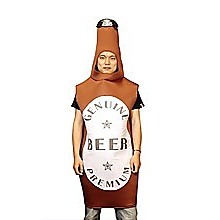 This fun Beer Bottle costume is adult-sized, easy to slip on and comfortable to wear. There are generous-sized slots on the sides of the costume for your arms so you are not confined in the least. The silly costume will draw everyone"s attention. 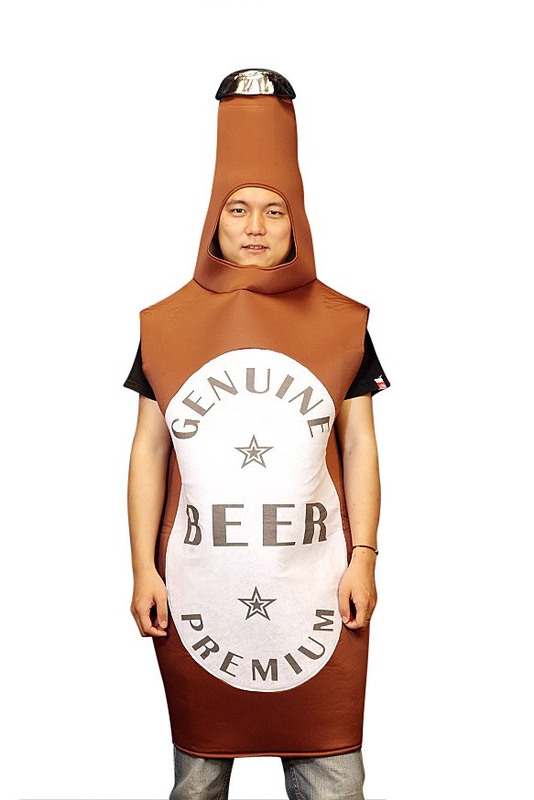 The brown bottle features a large white label on the torso of the costume that reads, "Genuine Premium Beer." Your face fits in a large cut-out under the neck of the bottle which is fitted on top with a silver-colored bottle cap. 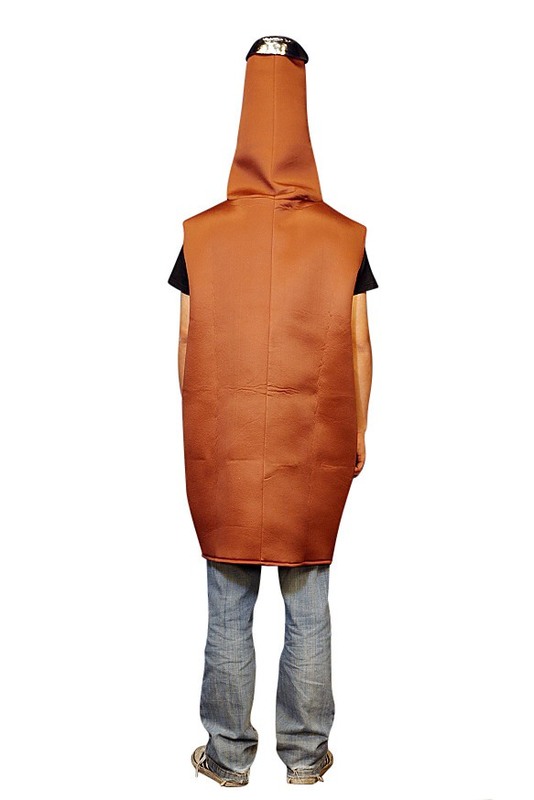 The body of the hotdog costume hangs only just past the knees. This soft material and design leaves the wearer free of any encumbrance and able to move about and sit or stand without any restriction. The costume is of a one-size-fits-all design. 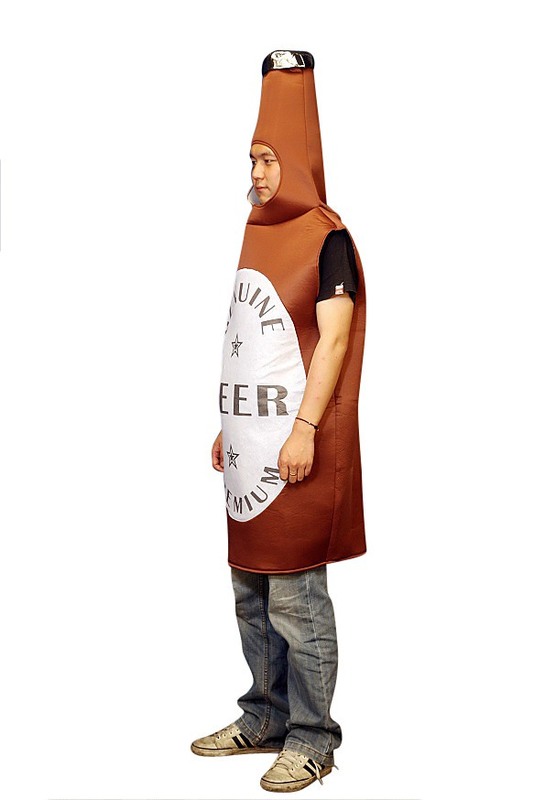 The adult-sized Beer Bottle Costume can easily accommodate an adult male of the following size: between 5"7" to 6"3" in height; a chest circumference of between 42" to 48"; and, a waist size between 35" to 41". Surprise your friends and come as a big Bottle of Beer the next chance you get!